Welcome to DTX International. DTX International is a direct importer of innovative specialty products which include hardware items, tool accessories, automotive & home products. These products are sold under the "DTX International" and manufacturer brand labels to wholesalers, retailers, mail-order catalog companies and end users via the internet. DTX International has a product line of over 500 items and we are continuously adding new unique items. Besides offering our customers quality products at great pricing, we stand behind our products. DTX International is a direct importer of innovative specialty products which include hardware items, tool accessories, automotive & home products. These products are sold under the "DTX International" and manufacturer brand labels to wholesalers, retailers, mail-order catalog companies and end users via the internet. DTX International has a product line of over 60 items and we are continuously adding new unique items. 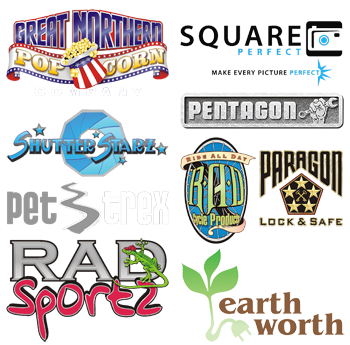 Besides offering our customers quality products at great pricing, we stand behind are products. The company's headquarters and warehouse facilities are located at 10719 Waters RV Dr., Gaylord, MI 49735. According to Wikipedia: Hydroponics is a subset of hydroculture and is a method of growing plants using mineral nutrient solutions, in water, without soil. Terrestrial plants may be grown with their roots in the mineral nutrient solution only or in an inert medium, such as perlite, gravel, mineral wool, expanded clay or coconut husk. Researchers discovered in the 18th century that plants absorb essential mineral nutrients as inorganic ions in water. In natural conditions, soil acts as a mineral nutrient reservoir but the soil itself is not essential to plant growth. When the mineral nutrients in the soil dissolve in water, plant roots are able to absorb them. When the required mineral nutrients are introduced into a plant's water supply artificially, soil is no longer required for the plant to thrive. Almost any terrestrial plant will grow with hydroponics. Hydroponics is also a standard technique in biology research and teaching. 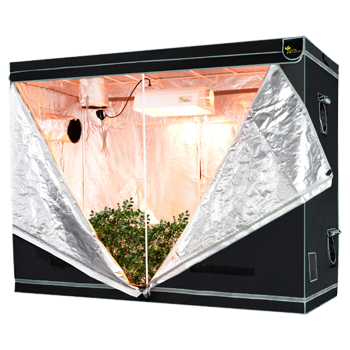 Earth Worth has made Hydroponics easy with it's innovative grow light kits, high quality grow tents, fans and filters, digital ballasts, and bubble bag extract systems. Whatever your growing needs may be, Earth Worth has you covered, at a price you can afford.